A big switch today: Kerry has taken the lead in Pennsylvania and Bush has taken the lead in Ohio, exactly the opposite of yesterday. 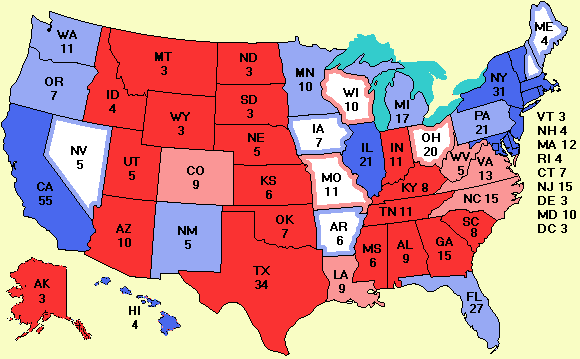 Since Pennsylvania has 1 electoral vote more than Ohio, this switch is a net gain of 1 for Kerry. Two new polls in Michigan show Kerry is still ahead. Since they cover the same time period, we have averaged them.